Running a practice is not an easy task, as there are many moving parts. You have a team with the goal to serve each patient with the best care. To do so, it is highly important that there is a system in place that provides the best patient experience. PracticeCompass is a sophisticated online integrated healthcare solutions platform that makes the process of operating a practice more effective and develops team dynamics. We provide you with the right tools for a common vision and unite the moving parts to achieve success one patient at a time. 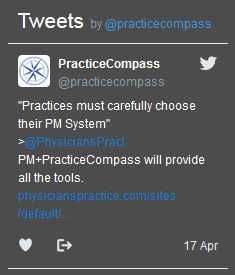 Let PracticeCompass guide your practice to success today!